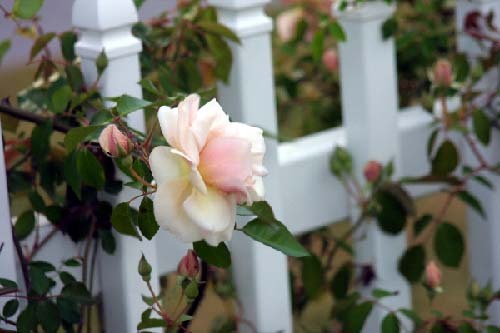 This rose has petals of butterscotch/cream. Its French name translates as “dream of gold”. 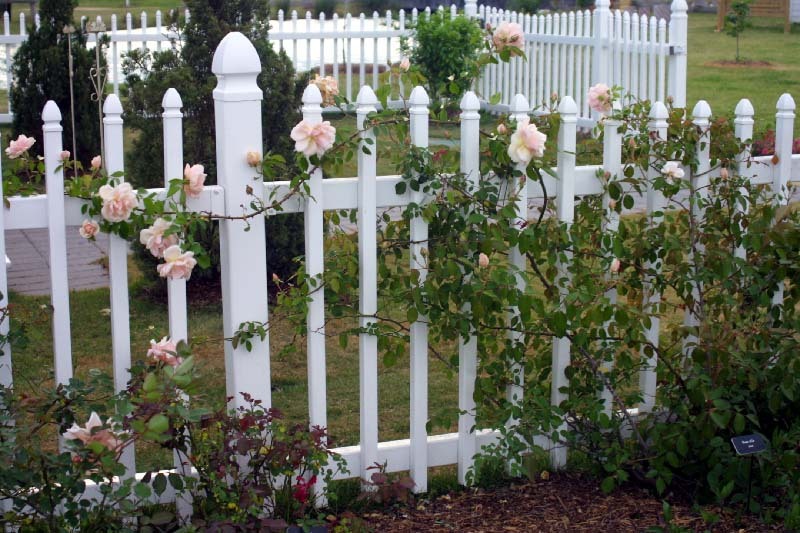 It can grow canes of up to 15' and is not very thorny, so would be a good candidate for an entryway arbor or trellis. In our climate, it tends to look better in the cooler fall months. Bred in Lyon, France in 1869 by Jean-Claude Ducher.